If the Varadkar and his pals expected plaudits to flow for the Government’s National Development Plan, Fianna Fail clearly wasn’t the place to be seeking them. Indeed, the Soldiers of Destiny have dismissed the development package announced in Sligo as little more than a litany of previously announced projects. 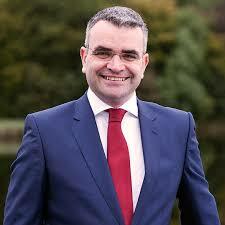 The party’s Ballina-based spokesman on Public Expenditure & Reform Dara Calleary also said that more than €40 million of the funding announced today “was already earmarked for infrastructure initiatives. “Today’s launch”, he said “is nothing more than a major marketing campaign designed to promote a government which has failed to meet its own targets to date. “Major projects being unveiled as part of the NDP such as Metro Link and additional social housing provision were already included in the previous Capital Plan, but just haven’t been delivered on. “Like so many previous action plans, this one looks good on paper, but the real test is in the delivery. This government’s record is not great on follow through. “The National Broadband Plan was launched to much fanfare in 2011, yet there are more than half a million homes and businesses which will not have high speed access before 2023. “The Rebuilding Ireland Plan, which promised over 3,000 direct builds in 2017 delivered fewer than 1,000 homes. Initiatives in health, transport, education and agriculture have all been victims of a government which over promises and under delivers. “The Taoiseach and his Cabinet Ministers need to realise that all the marketing and spin available to them cannot hide the fact that they are moving the goalposts and still missing the targets. This plan only serves to highlight all of the previous strategies they have failed to deliver on. “Instead of undertaking grand launches in Sligo, this government needs to start investing in Sligo and across the regions. “The only barometer on which this plan can be assessed is delivery,” he added. Despite the attack, Fianna Fail has pledged to keep the present Fine Gael-led Government in power.